The killer, who came from Fraserburgh, died behind bars in May at the age of 72. It has now emerged that the Ministry of Justice paid £3,300 towards a secret funeral and that his ashes were later handed to his family. 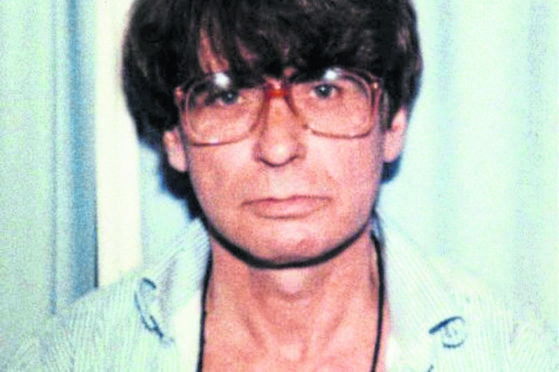 Nilsen murdered at least 12 young men in the 1970s and 1980s and was 34 years into a life sentence at Full Sutton maximum security prison in Yorkshire when he died from complications following abdominal surgery. A spokesman for the Ministry of Justice told The Sunday Post that it had contributed funds towards the cost of his cremation, in line with standard policy. The spokesman said: “Policy states prisons must offer to pay a contribution towards reasonable funeral expenses. The one-time soldier, who moved from Strichen to London in the 1970s, became known as the Muswell Hill Murderer for his horrific crimes which shocked the nation. And although never proven, the killer is thought to have committed as many as 15 murders against young men while he lived in England. After luring them to their death, he would sit with them for days before hacking at their bodies. He was only caught out by the police when neighbours – and he – complained of blocked plumbing in his building and a workman was sent to investigate. Unwittingly, Nilsen had caused the blockage himself by flushing the bones and flesh of his victims down the toilet. He was jailed for life on six counts of murder and two of attempted murder in 1983. Towards the end of his life, he offered an insight into his thoughts in a string of letters posted to the Press and Journal. There was controversy over the disposal of Moors Murderer Ian Brady’s remains following his death at the age of 79 in October. Brady, who killed five young victims along with Myra Hindley in the 1960s, had wanted his ashes scattered in his home city of Glasgow but they were instead dumped in the sea after the council refused permission.